Friedrich Nietzsche once wrote “There are no facts, only interpretations.” But interpretations can reveal a lot about the reality facing those doing the interpreting. For instance, in a recent Point To Point research study, we asked 499 building products distributors to tell us what they saw as the biggest trends in distribution and the greatest threats to their business. What we learned told us a lot about the sizeable market forces reshaping distributors’ worlds. Forces that present real opportunity for the building products manufacturers who can help distributors harness and capitalize on them. When asked to indicate the biggest trends in distribution, 41% of the respondents saw customers using more mobile technology as the biggest trend. This finding reflects the impact of e-commerce on distributorships both large and small. Contractors today expect a consumer buying experience even in a B2B world. How brands can help: Work with distributors on how to update and expand their mobile presence and capability as part of an enhanced brand image. Educate them on the value of having a responsive website that displays properly on smartphones and tablets, making it easier and faster for contractors to find what they want. Supply them with videos and product materials optimized for mobile. Almost 35% of the respondents saw changes in how inventory is managed as the second biggest trend. This trend was also reflected in 2014 distribution research study from the National Association of Wholesaler Distributors (NAW) which pointed to the importance of visibility in the supply chain. “You can now get visibility to what’s happening with customer vendor managed inventory or customer managed inventory. You can see what products come off the shelf on a real-time basis. 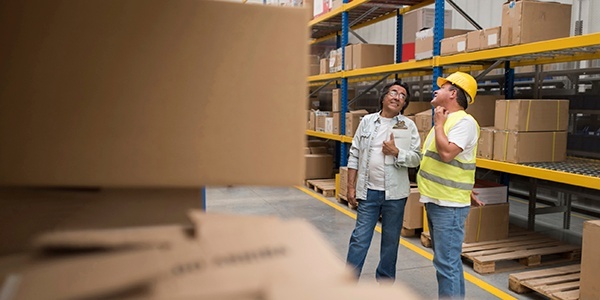 You can make more decisions about replenishment, and you can get a view of cost-to-serve and cost-to-carry.” Changes like these will significantly change inventory management for distributors. How brands can help: Educate distributors on the technological tools available—particularly in the area of operations/fulfillment—that will help with inventory management. Connect brand and distributor IT departments for cross-collaboration. Consider co-locating your IT personnel with those distributorships integrating advanced technology tools to add the extra manpower needed to smooth the transition. Coming in third for biggest trends: Customers requiring more technical information. The majority of the distributors studied felt meeting this customer need was the responsibility of the brands. How brands can help: Produce more detailed application videos that distributors can upload to their website. Create in-depth training videos and online courses for contractors. Make sure distributors have the latest technical data and specs for your products on their websites. How brands can help: Educate distributors on how to formulate the research studies needed to better understand their contractors and their preferences. Help them understand the resulting data to add speed, agility and innovation to their offerings in order to create the best possible customer experience. Continue to encourage distributors to embrace technology and build their online business, offering IT help as needed. There are sizable market forces reshaping the world of building products distributors. Brands that can give their distributors the tools and resources needed to harness and capitalize on those forces will benefit, building distributor loyalty and increasing sales.